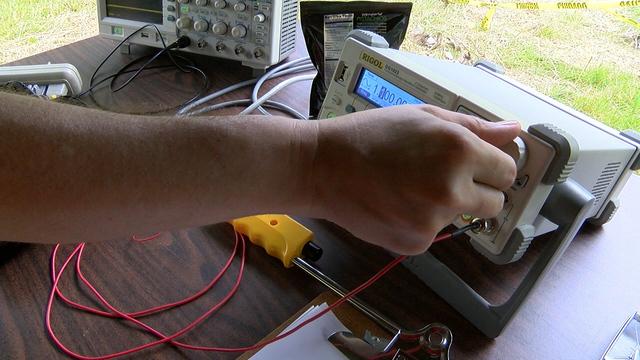 Yokanovich and about a dozen members from the Amateur Radio Club of the National Electronics Museum in Linthicum gathered Saturday at Rockburn Branch Park in Elkridge to participate in a 24-hour nationwide preparedness drill sponsored by the American Radio Relay League. It's also a contest of sort against other amateur (ham) radio operators. "Ham radio is for making friends". Club members set up make-shift antennas and brushed up on their Morse code to show that cell phones and computers only go so far in emergencies. "Ham radio operators are some of the only ones that can get the message in and out if a disaster occurs". "Hurricane Katrina was a big showcase for hams, many of whom traveled to the South in a volunteer effort to save lives and property", Christovich said. "We can often locate family members when given a name by a loved one". "It's also a way of showcasing our hobby", he said. For Field day that information consists of the operators the state and section within that state.